Remnants from last year, including the spider legs! You may notice there is not much of a body to go with these spider legs but the legs themselves were quite well-preserved. I don’t like spiders but love these pictures. I can assure you this spider was of no immediate threat. Thank you, I’m glad you enjoy them. 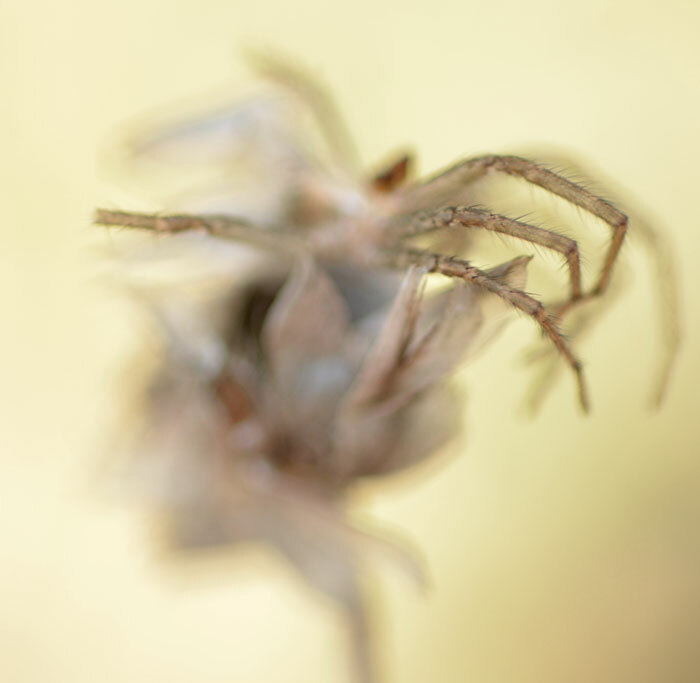 These could possibly be the best looking spider photos I’ve ever seen. Yes, amazing that it stayed intact through the winter! Was this outside, Karen? …they were used as a posing stand. Very nice arrangement, Karen! omg. glorious! i love these colours. Wonderful, wonderful, wonderful. The subject and its shapes are so interesting, and the color! It’s . . . pure . . . Karen McRae. That first image is absolutely stunning. Lovely composition and use of bokeh. 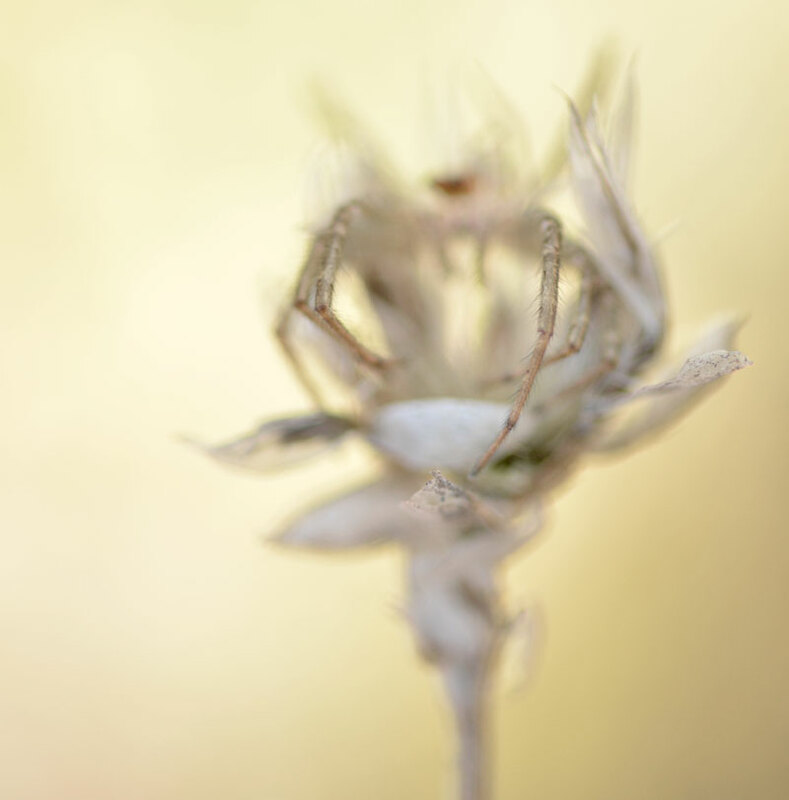 Every little hair on the poor deceased spider’s legs contrasting with the soft hues and muted glory of the seed head. Terrific! Love this, Karen. Looks a lot like Spring! Beautiful, Karen. The spider’s legs are fascinating.. the colors, textures. Wonderful details. what attention and eye. never ceases to amaze me. Wonderful Karen, Beautifully muted colours and that, once again, captivating selective focusing. Love it. Fascinating images, Karen! Such delicate detail and light. Such delicate mood and light. Beautifully shallow depth of field. Simply wonderful. Your a natural talent, love your photos! Tremendous photos, the subject is fascinating ~ and the lighting/DOF brings these shots eerily alive. Balletic and sad – these are really moving, Karen. Fascinating, delicate beautiful images Karen. Hehe, great tribute to the spider! Lovely art work, Karen! Beautiful images. My first impression was that you had photographed a fairy! That gold is so ethereal and light filled. Beautiful. Really beautiful. Steven McCabe’s comment is spot on. Very ethereal & fairylike. Perfect. These are slightly eerie, but still beautiful. 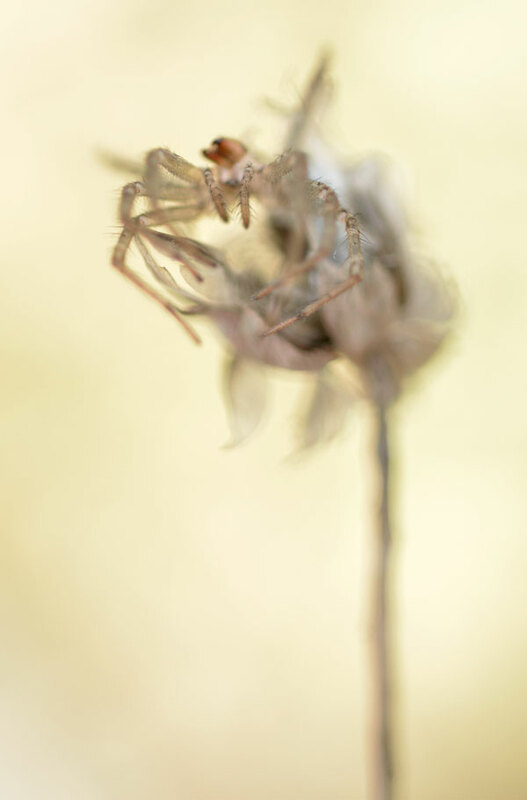 The spider looks as though it has become part of the seed head. 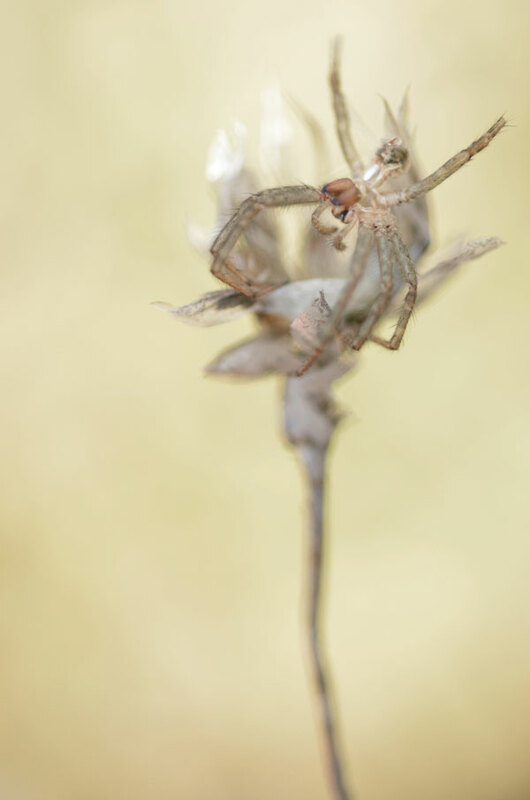 I love the way you have worked with the delicate beauty of the spider. in death it seems to have become part of the plant. I have never seen images like it before! Wonderfully spooky and delicately tender at the same time. Your visual perception for things is very sharp, you see things where others would just pass by! Thanks for sharing your intimate vision with Nature!